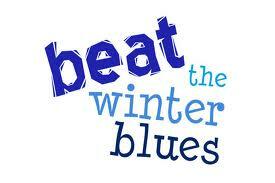 Those winter blues setting in? Try eating like a Spaniard, an Italian or a Greek. In a study of more than 11,000 people—published in March 2012 in the European Journal of Clinical Nutrition—those who stuck to a Mediterranean diet scored higher on markers of mental health than their counterparts who ate a more Western diet. How to eat the Mediterranean way? Pack your diet with fruits and vegetables, whole grains, legumes, nuts, fish and a moderate amount of alcohol. Though researchers couldn’t pinpoint what exactly about the diet boosted participants’ mental health, they suspect that omega-3 fats (found in oily fish), B vitamins and folate contributed. Two other “foods” with some promise are the spice turmeric and green tea. Turmeric contains a polyphenol called curcumin that has been linked to a better mood, according to a 2012 review article in Nutritional Neuroscience. In one animal study, curcumin worked as well on stress-induced mood changes as an antidepressant. Similarly there’s a polyphenol in green tea—EGCG (epigallocatechin gallate)—that may alleviate stress and depression. People who drank 4 or more cups of green tea daily, in an American Journal of Clinical Nutrition study, were 44 percent less likely to have depressive symptoms than those who drank just 1 cup a day (2 to 3 cups was also beneficial). Bottom Line: Don’t disregard the old-school advice to exercise and stay social. But food matters too.